Natt was always the main accused but the police didn't reveal his name as they didn't want to alert him. UP Police said Prashant Natt, an Ola cab driver in Delhi till about six months ago, had confessed to having shot the cop. Natt was arrested from his in-laws’ home in Greater Noida on Thursday. Inspector Singh was attacked by a mob when police had gone to a village to defuse tension after cow carcasses were found in a forest. The protests escalated when Bajrang Dal activists jumped in the fray and blocked a road with a truck carrying the carcasses. Police have reportedly said that the officer was first hit with a rock by a mob of around 400 people. They said that Bajrang Dal activist Yogesh Raj, who has been missing since the December 3 incident, and one Kalua instigated the mob. Kalua reportedly attacked Singh with an axe. Reports say that Kalua had gathered the crowd and was trying to cut down a tree on the highway in a bid to halt the traffic. That could have triggered communal tension between the communities as there was a huge congregation of Muslim community for a religious function and the participants were supposed to take the same route, a police officer told a portal. “Singh tried to dissuade Kalua from cutting the tree at which the latter turned on him and chopped off his thumb,” the officer said. The officer tried to escape but the accused men dragged him to the fields where Natt used Singh’s service revolver to shoot him. They kept hitting him with sticks even as his colleagues tried to rescue Singh. Policemen tried taking a seriously injured Singh to the hospital but the mob started pelting stones at the jeep, forcing them to abandon the vehicle and run for their lives, an officer told a news portal. There were attempts to set the jeep afire but the police returned to take Singh out of the vehicle. Singh’s postmortem report said he was shot at a point-blank range above the left eyebrow. He also had several fractures in his limbs. Of the 27 named in the FIR, 20 people, including an Armyman, have been arrested. Natt’s name wasn’t in the FIR. 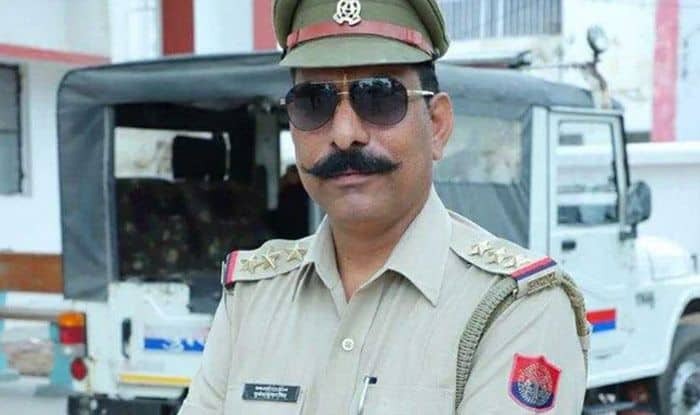 Bulandshahr SSP Prabhakar Chaudhary was quoted as saying that Natt was always the main accused but the police didn’t reveal his name as they didn’t want to alert him. Natt’s brother, however, claimed that he was being made a scapegoat. “They haven’t been able to arrest the mastermind (Yogesh Raj) so they have arrested my brother,” he said. Kalua chopped off Singh's thumb while the latter tried to stop him from chopping a tree. The accused hit him with sticks before dragging him to fields. He was shot by his own service revolver; policemen were attacked, forcing them to abandon the injured cop.